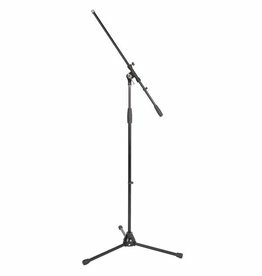 Heavy duty professional stand with fold-away legs. 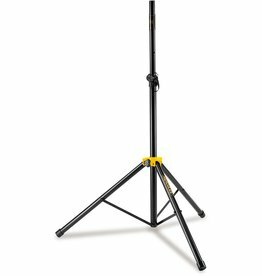 Features the 2-in-1 Boom Clamp and the Quick Turn Clutch. 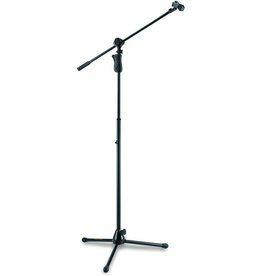 Consists of tubing assembly, boom arm and zinc die-cast base with long folding legs. 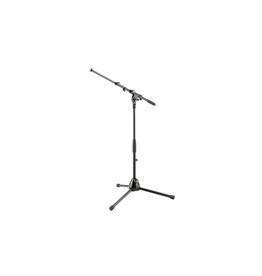 Features the EZ Mic Clip, the 2-in-1 Boom Clamp, and the EZ Height Adjustment Grip. 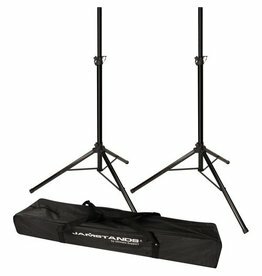 Pack includes two Tripod Base Speakers Stands SS200BB and the carrying bag. 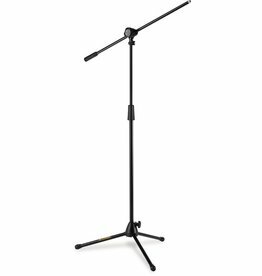 Designed for terrific stability and flexibility, the stand is made from sturdy aluminum and has a scratch-resistant finish.